Alleviating Poverty: How to make your donation have the biggest impact. What Kind of Giving Makes the Biggest Impact? Everyone is asking for your donation on #GivingTuesday; the number of legitimate needs can be overwhelming! We all have limited resources so we want to make sure that we get the biggest bang for our buck – especially when it comes to alleviating poverty. At Food for the Hungry Canada, we offer three primary ways to give. You can Sponsor a Child, buy an item from the Gift Guide, or give an Undesignated gift. But which donation goes the furthest “on the field”? When I first started sponsoring a child, I was motivated by the idea that I had something to offer people stuck in poverty, and because I wanted to make a difference. Soon, I realized that what families struggling to overcome poverty needed from me was very different than what I had thought. Here are two things I have learned in the past decade about child sponsorship. First, I’ve learned that the biggest impact from my giving comes from a consistent, long-term commitment. True to my generation, I expected quick results and fast impact. But ending poverty and building sustainable futures, like so many other worthwhile endeavors, requires time. My monthly promise to walk alongside one family through child sponsorship communicates a commitment. I’ll walk with them until they reach their development goals. Until they can afford to pay their children’s school fees and doctor’s bills; until they’ve mastered the skills they need to generate and save income; until their community is truly self-sustaining. I’m walking at their pace, not mine. Secondly, I’ve learned that child sponsorship is more about supporting the parents and community than the child. The majority of parents around the world hold the same single passion – a fierce concern about their child’s well-being. So when a family is stuck in poverty, meeting the immediate needs of their children consumes parents, leaving them very little time to invest in the future. My monthly support provides the financial relief parents need to start looking forward and engage in future-building activities. My financial commitment communicates to parents – You got this. Take the time and space to do the work necessary to take care of your children. After all, they better than I, desire the very best for their child. Gift Guide items are the ultimate one-time donation. Whether you have $25 or $1000 to donate, you will find a gift that fits your budget and your personality. Every Gift Guide item has a long-term impact in on-going programs that enable our partner communities to move forward in their development plans. The individual donation itself, however, is a one time transaction, unlike sponsoring a child which, on average, is a seven year commitment. Giving from the Gift Guide, therefore, has long-term impact without requiring a long-term commitment from the donor. Who doesn’t love to check things off their list? But the Gift Guide is in no way impersonal. On the contrary, it lets you give to a specific area you’re passionate about. Are you passionate about gender equality? Giving an Accounting Kit will really hit home. Are you a teacher? Five of our gifts this year directly impact child education! So you’re not coldly writing a one-time blank cheque - you’re aligning one of your passions with the resources and time you have to give. The Gift Guide is also a great way to get your friends and family engaged in something you care about. It’s educational, intriguing, and funny. So it’s really an all in one way to go - your gift has long-term impact in a partner community, is something you’re passionate about, allows you to give within the boundaries of your time and budget, and educates people on this side of the poverty line about how we can help developing communities. It’s a tidy little package that goes really far! It’s like that Indiana Jones movie. Indy is on the hunt for the Holy Grail. And when he finds it (spoiler alert! ), it’s the plain, brown, practical clay cup among an array of ornate chalices and goblets. But in the end, it saved his father’s life. An undesignated gift is just that: a plain but practical gift that has big impact. And when you give it to your charity of choice, you’re saying two things: 1) We trust you and ALL your work, and 2) Do what needs to be done, no strings attached. To clarify, an “undesignated” gift is not just a floating pool of money that a non-profit has no idea what to do with it. In fact, it’s just the opposite! Any non-profit will have a long list of great potential uses for these funds! Because the gift isn't earmarked for any one purpose, they’re finally allowed to start ticking things off the list. After all, the real day-in day-out of development work is not all that glamourous. It’s things like fixing a field-worker’s motorbike - their one way to cover the long distances between villages, or putting a project on hold because localized flooding requires immediate response. Undesignated gifts help cover these, and so many other, unforeseen costs. The undesignated gift is also a cheer for the underdog! There are always critical projects that just do not get in the spotlight. Humble programs (like a two year tree planting program in deforested parts of Ethiopia), must go on, whether or not they captivate our attention. Such long-term programs have big impact, and undesignated funds often ensure they can still happen despite the lack of fanfare. So, when a donor gives money without persuasion or expectations for something in return, it frees up non-profit workers to do what they love best: help people in the way that they need to be helped. So the next time you make a donation to undesignated funds, on behalf of all charities, thank you! We applaud you. And we are playing the Indiana Jones theme song in your honour every time. Each category of giving at FH has a high degree of impact in our partner communities, directly contributing to long-term development toward sustainable futures. 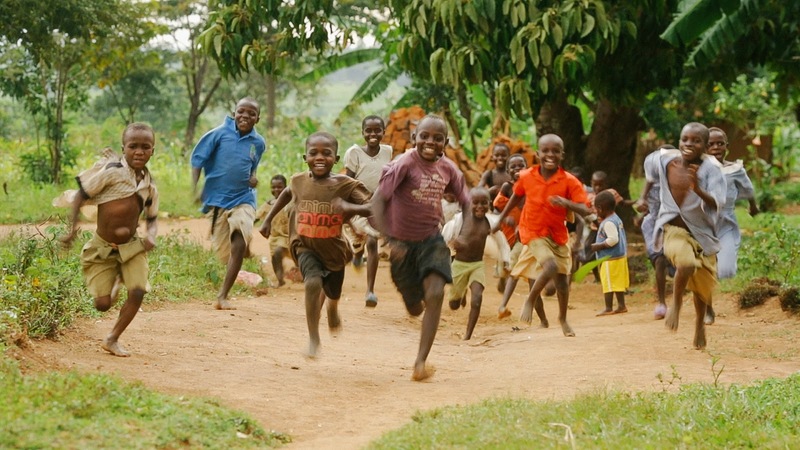 Child Sponsorship provides consistent financial support to an individual family over a long period of time. Gift Guide items stock the programs that make up the core of community development plans. And Undesignated Gifts allow Food for the Hungry Canada to meet the needs, whatever they might be, of our partner communities. You’ve heard the pitch - the choice is yours! Food for the Hungry: Alleviating Poverty: How to make your donation have the biggest impact.